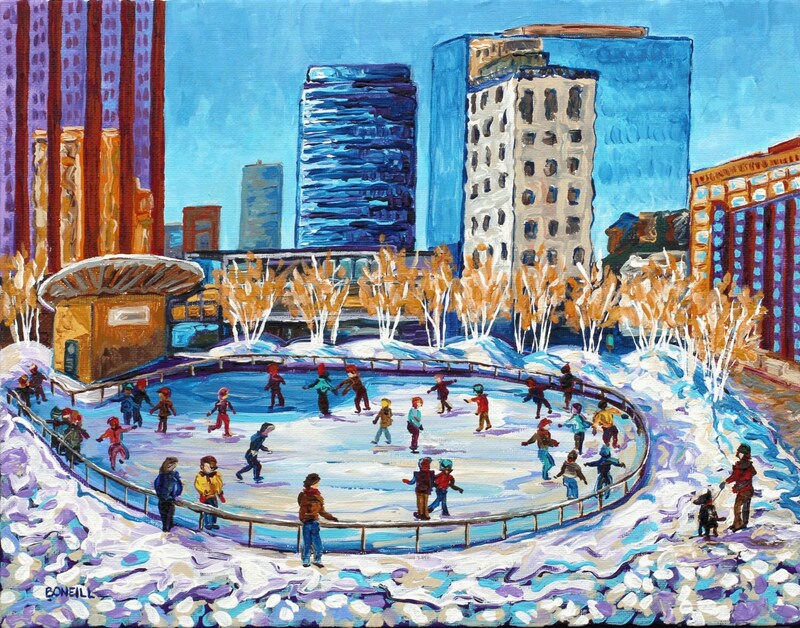 "Skating at Rosa Parks Circle"
One of my favorite winter activities is ice skating at Rosa Park's Circle in downtown Grand Rapids. Such a great community event! Music, cocoa, people laughing, the bright blue sky, and buildings reflect upon each other in grand historical architecture. Your choice of a high quality giclee on fine art paper or gallery wrapped canvas. More sizes available upon request, all pritns ship for free in the USA.